Damaged? Order vivid shipping labels on how to inspect and handle certain packages. 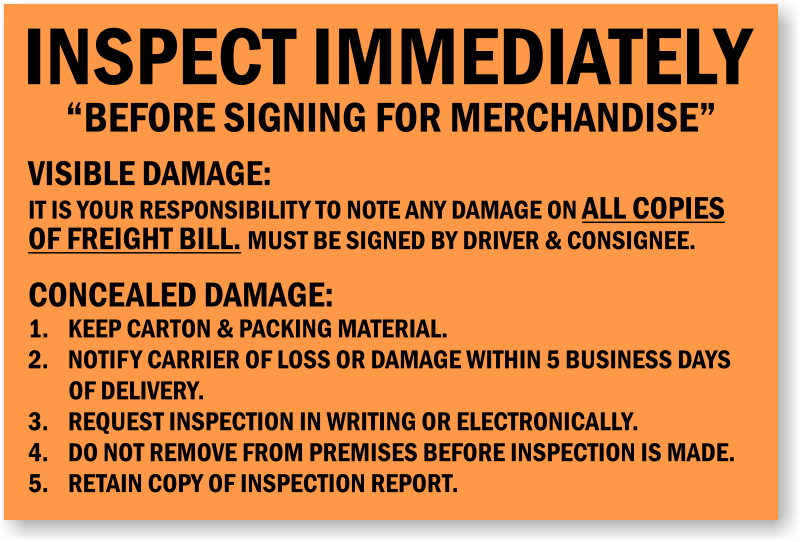 Or just place a simple warning so receiving can verify that the box has everything they need. 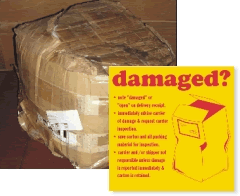 Damaged Labels are also particularly useful for packages that are susceptible to break, so everyone still handles the box with care when it arrives. • Sold on convenient rolls of 500 labels. • Bright, attractive, and hard to miss. 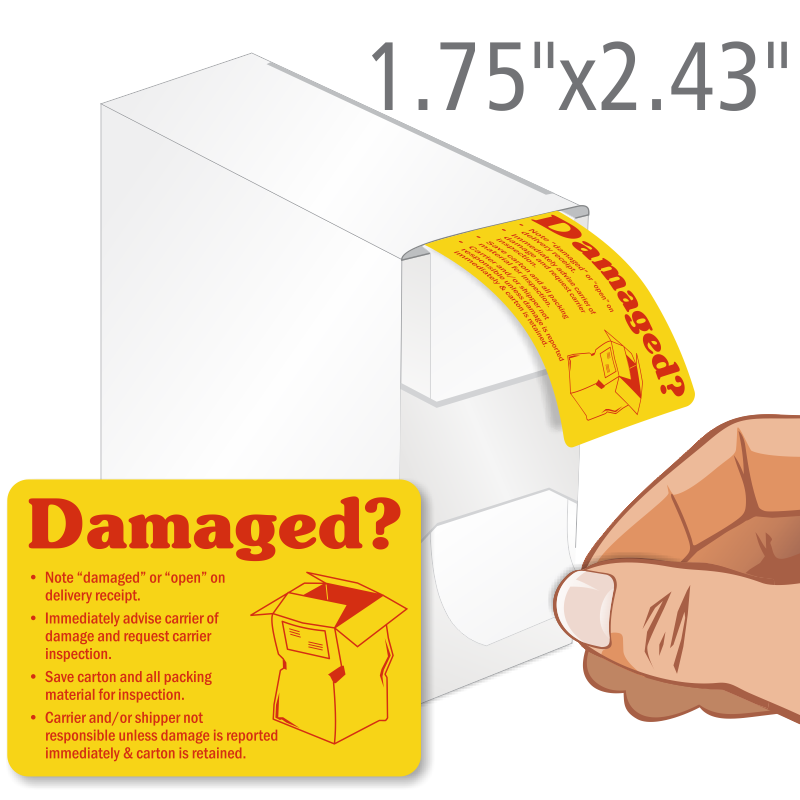 Made of paper with an aggressive adhesive backing, ideal for shrink wrap, corrugated boxes, drums, and more. • You can also order our helpful dispenser to easily pull labels from the roll.